A Fabulous Old, Vintage Trunk or Footlocker in a Great Color: Blue/Black. 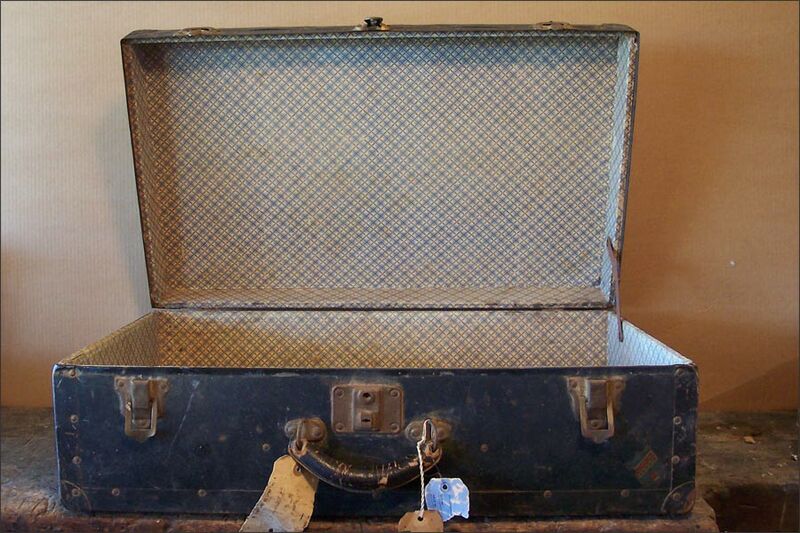 Lots of Character in This Paper Lined Trunk with Intact Leather Handle - No Key. Clean and No Musty! 27.5” x 16” x 8.75”h.